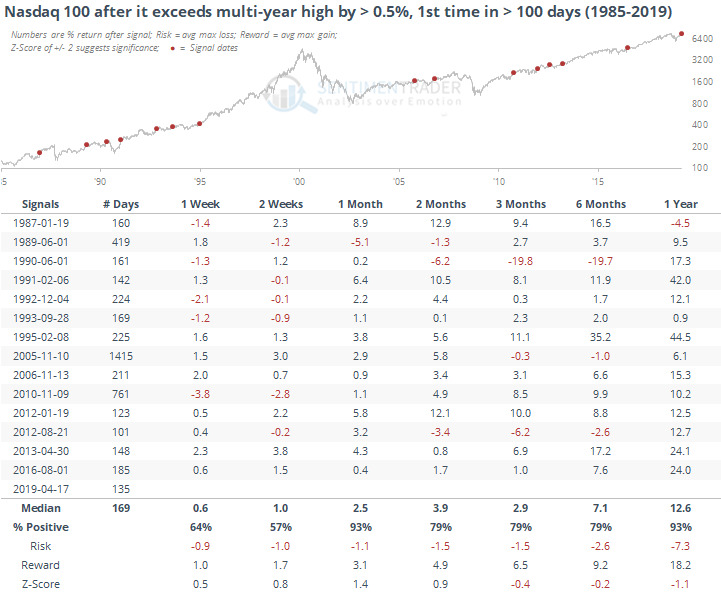 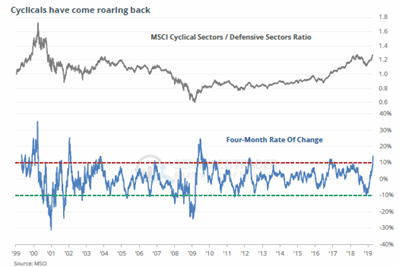 The ratio of cyclical to defensive sectors has cycled from an extremely low rate of change to extremely high one; The Nasdaq 100 exceeded its prior high intraday by more than 0.5%; SPY hit a new high then reversed below the last 4 closes; The Optimism Index on the XLV health care fund plunged to 2. 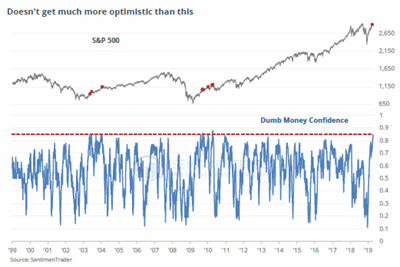 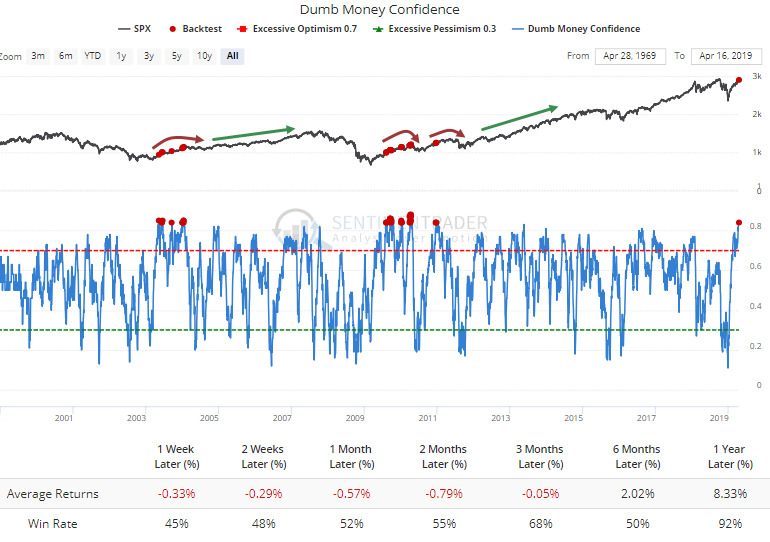 As noted in the Daily Report, Dumb Money Confidence has soared to its highest level in almost a decade. 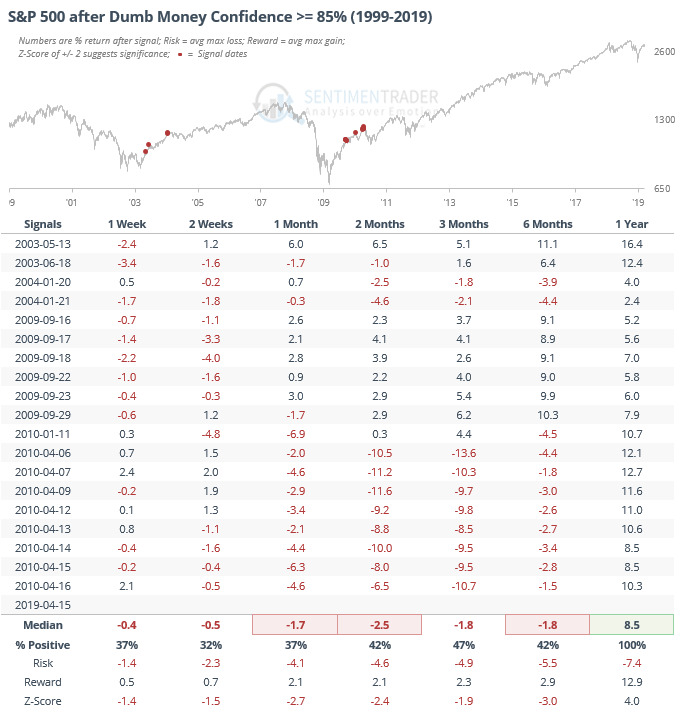 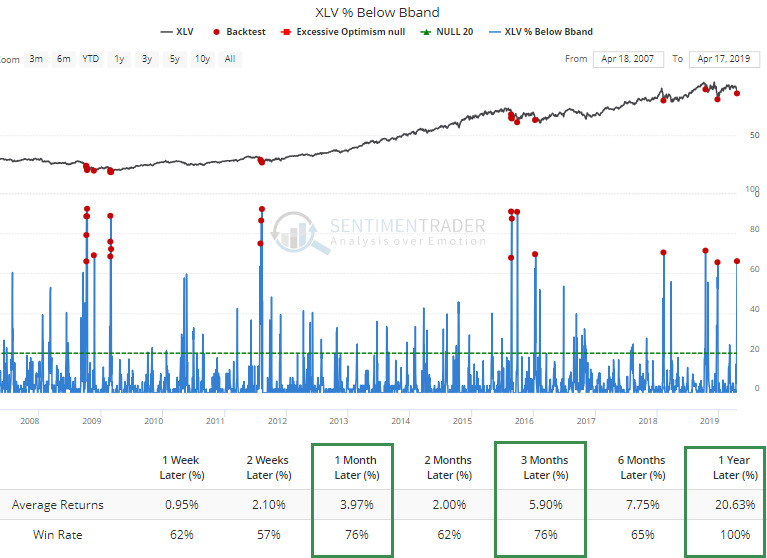 It's also extremely high for being a couple of weeks into the earnings reporting season.Both studies have led to consistently poor returns for stocks in the weeks and months ahead, so we're pulling them out and including them as an Active Study.